Use the SEARCH box to get quick results. There are 2 Search options. Simple Search is just that; Simple. The Search button & input box is found at the TOP RIGHT of the TOP MENU Bar. Enter a word or words (the less the better !) and press the Search button, or press ENTER on your keyboard. eg: bird or Bird will return the same result, the search box is not case sensitive. Note entering "bird" will return more results than entering the plural "birds"
Clicking the Drop down box Items Starting with.. will let you choose a letter from the Alphabet as the First letter of the results eg: A-Z, this will reduce the results. To get the best from the Search engine, you can use Advanced Search. This will let you search by Category, Price Range as well as Keywords and date added. 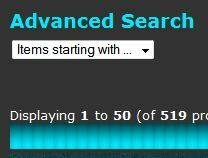 To get to Advanced Search there are 2 Ways. First way. Click the Search Button in the Top Right Menu Bar WITHOUT adding any Search Words. This will open the Advanced Search Box. This will also open the Advanced Search Box. I am not going to provide pictorial examples, because it is just self explanatory. Limit to Category. Here you will find options to Limit your search to Single Countries, whole Continents or the Whole Site. Just use the Drop down list in Limit to Category. You can include or exclude Subcategories. Keywords. Here less is more, ie: bird will return more results than the Plural birds. Olympic will return more results than Olympics. Again NOT case sensitive. Search by Price Range. You can search for items between certain prices, or all items over $100, or all items at $1, by entering the required values into the Price range input boxes. Search by Date Added. You can put in a Date range so that if you have visited before, you can limit your Search results to items after or between certain dates . ie from 01/01/2013 to whatever today's date is, will return all items added this year. You may be surprised how easy it is with a bit of practice. 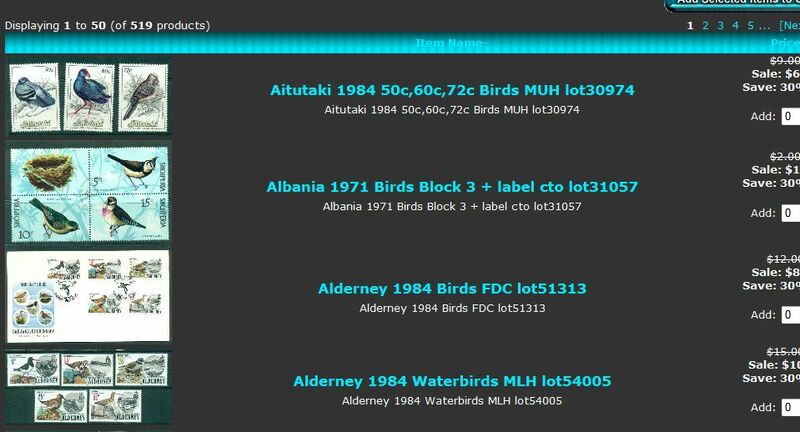 You can combine search Criteria, eg: Keyword "bird", Category "Asia", Price Range 1.00 to 50.00, (or 1 to 50),Date Added 01/10/2013 to today's date will return all results for Bird in Asia priced from $1 to $50 which were added from the 10ht of January this Year. You can even save the search results page in your browser to revisit at a later time. Limit to Manufacturer. Is not used, as I am the only person listing items for sale here. 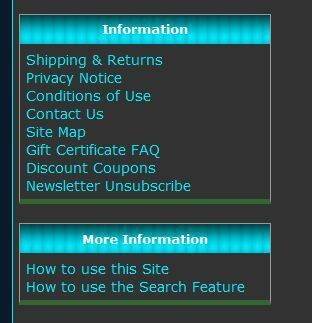 Again if you need more Help please use the CONTACT US link in the LEFT SIDE Menu to ask.